This summer, I attended Marketo’s Seattle Block Party. For those of you who missed it, sorry but you missed a good one! We packed the Elysian Bar on 2nd Avenue with over 100 people. The interior, brick walls and soft lighting, created a warm ambiance perfect for networking with B2B and consumer marketers and some of our awesome partners—LinkedIn, Bizible, and PFL (Print For Less). To kick-off the event, I put on my marketing hat and helped at the check-in booth where I saw first-hand the power and usefulness of using an event check-in app. Some of you may be wondering, event check-in app?—What’s that? Well, let me tell you! 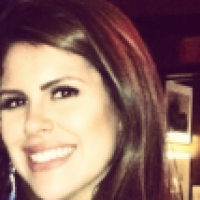 As an Account Executive at Marketo, I have conversations with marketers every week, and one of the most common pain points is not being able to automate event support. Cue marketing automation! Marketing automation software empowers marketers by creating workflows to automate marketing programs, campaigns, and processes, including event management and promotion and post-event follow-up with targeted messaging that takes their persona and event attendance into account. Without marketing automation and a handy check-in app, marketers have to succumb to manual list exports and imports. Not only is this process time consuming and tedious, but it allows for human error and follow-up that can occur weeks later versus the next day or even that night. Many marketers I speak with wear multiple hats, so once the event has concluded, the focus shifts to the next priority or event. Importing a list and sending a post-event follow-up email can easily be overlooked. 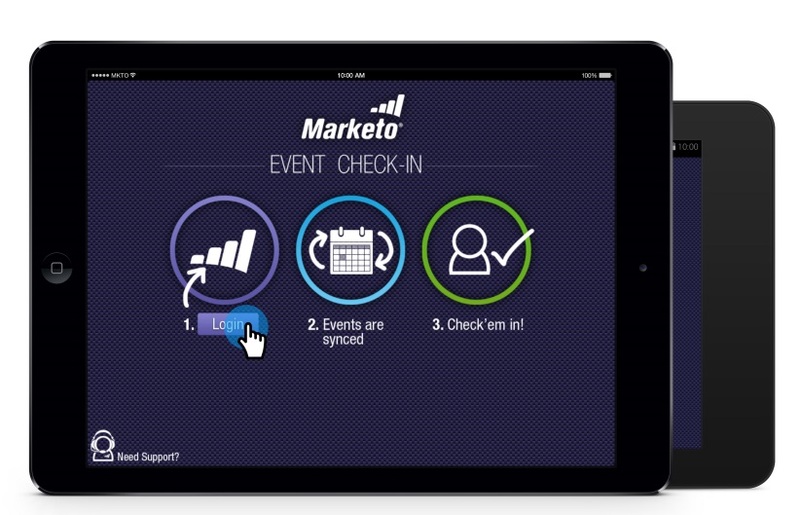 But an event check-in app powered by marketing automation eliminates the problem! When searching for a marketing automation tool, make sure to hone in on event support. 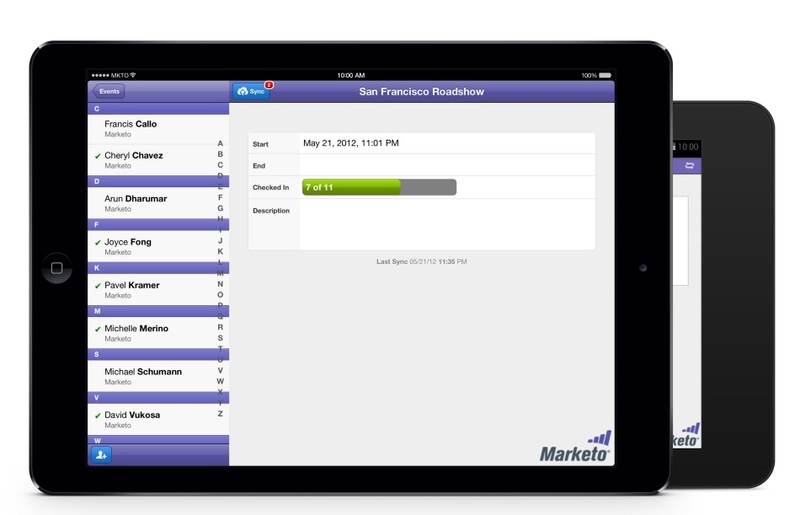 Whether you are running an event every few months or managing an entire event season like Marketo’s Marketing Nation Roadshow, it will save you time and provide a smoother, organized experience for your customers and prospects during and after the event. You will love it; they will love it. As people arrive to your in-person event, grab your iPad, open up your check-in app, and get ready to work it! Searching for their name on the left hand-side will pull up their record, which you can append with more info or just press the “Check-in” button. Voilà! Now in only 30 seconds you have checked in your guest and they are on their way to enjoying the event (bruschetta and olives, anyone?). What if someone shows up but has not pre-registered? No problem. The button on the bottom left will allow them to fill out a quick form and register right there on the spot (cheers to that!). Send an alert to sales and create a task in your CRM: Conversion rates suffer dramatically the longer it takes for follow-up, so make sure your sales team is alerted in real-time so that they can get the ball rollin’ as soon as possible! Attribute success back to your marketing program: Multi-touch attribution will give revenue credit to this event, which is critical when you consider the high cost of events. In order to justify coming back to Seattle next year, we need to calculate the return-on-investment. 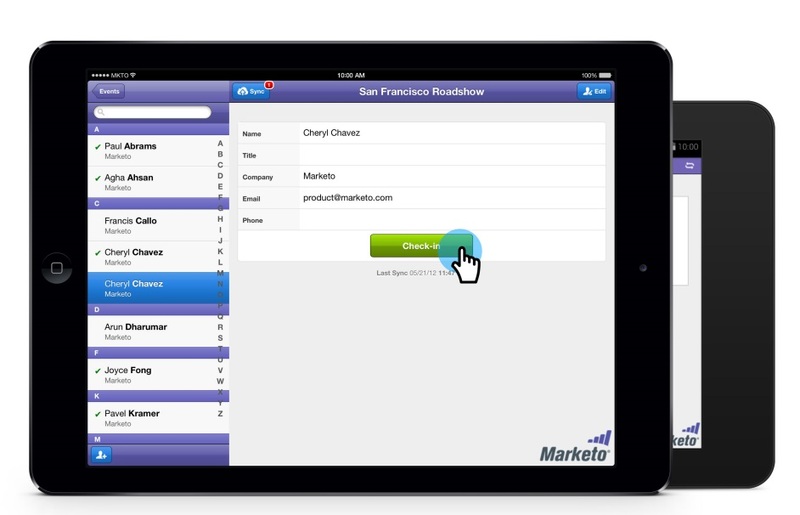 Ask your marketing automation provider how they can help you with multi-touch revenue attribution. So, what do you consider to be an event must-have? I’d love to hear about it! Please share in the comments below.